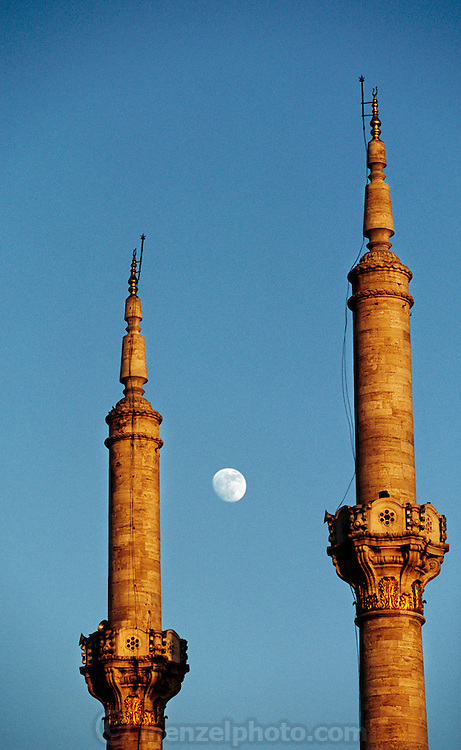 Tur.mw2.58.xs..Moon and mosque minarets of the Ottoman mosque called Mecidiye Camii, which sits at the foot of the Bogazici bridge. Istanbul, Turkey. Muslim, Islam, Architecture, Religion..